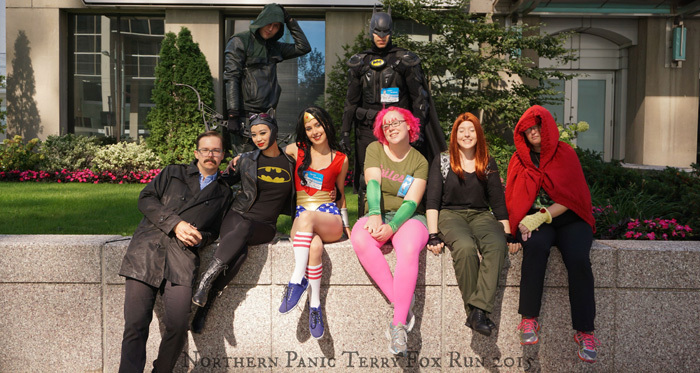 This past weekend GG Northern Belle Rogue led the Northern Panic team in the 35th annual Terry Fox Run to support cancer research - in cosplay! For those of you unfamiliar Terry Fox was a Canadian hero who at 18 was diagnosed with cancer. After his leg amputation and spending much time in the hospital he was inspired to run across Canada in support of cancer research. 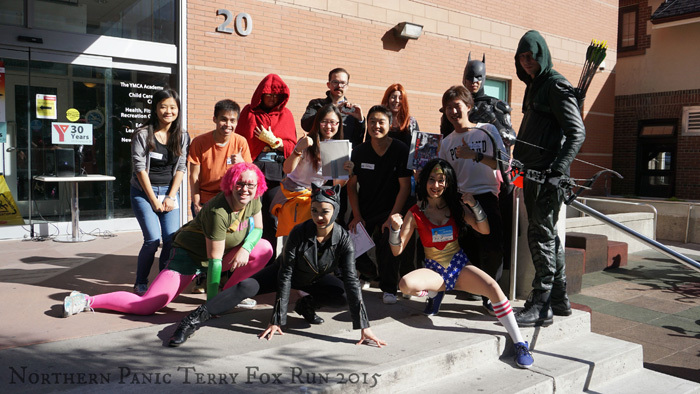 His legacy continues through the annual Terry Fox Run. 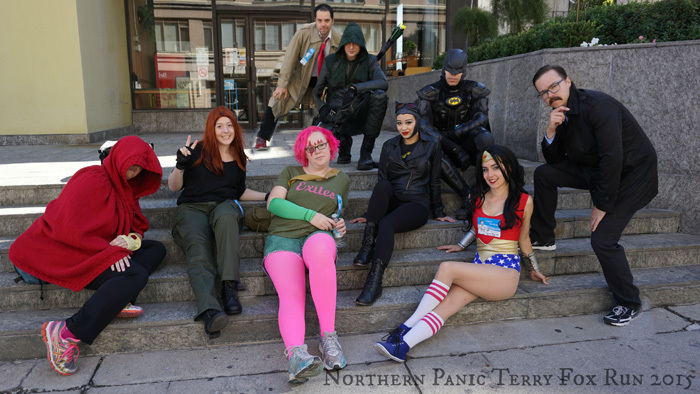 "This was the second year that Northern Panic participated in the event. We run in downtown Toronto at the Central YMCA run site. 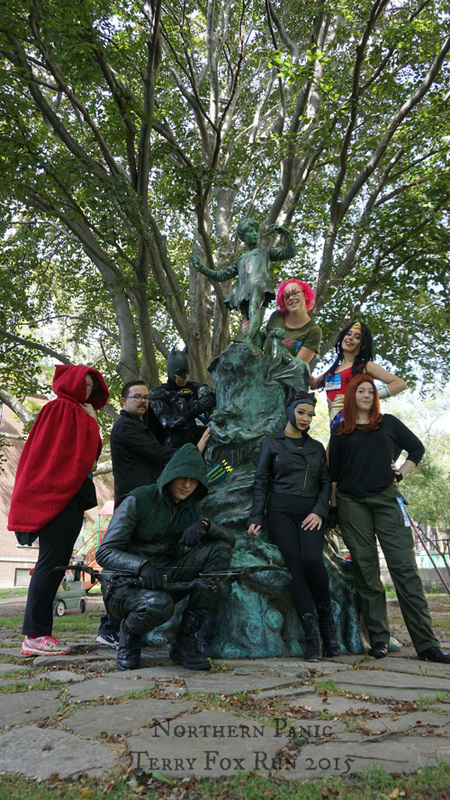 Last year the team was primarily Marvel characters and this year it seemed to drift over to the DC side. Of course any and all costumes are always welcome. We had many in-character shenanigans which you can see in our video! 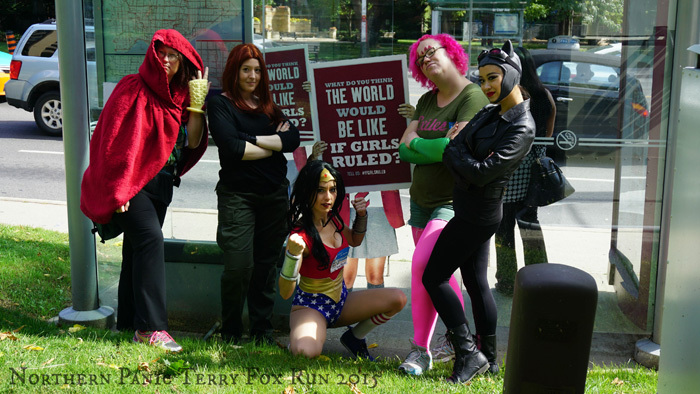 Running in cosplay is always so much fun, not only for the smiles we bring to the faces of children and adults alike, but because the way we are able to direct the attention we get as cosplayers towards such a worthy cause.